During the weeks leading up to the fall feast days this year, I was anxious, irritable and dreading the celebrations. Jon sensed how upset I was and tried to do all he could to help but the fact remained that, as is often the case, I simply didn’t want to participate and didn’t know why. A few days before the Feast of Tabernacles I asked Jon to give me a writing assignment (something I often do when experiencing “writers block,”) and he suggested that I write about the feast of tabernacles and its significance. The internal reaction I had to this was interesting, to say the least: frustration, irritation, anger, aversion and general feelings of hatred and animosity welled up inside of me. For obvious reasons, I thought this reaction might be a better topic to explore, and so I began to write. As I honestly acknowledged my feelings through the keyboard, I realized for the first time that I’ve come to subconsciously associate the feast days with a pastor (we’ll call him “Dan”) we were in fellowship with long ago. I came to realize that there are wounds associated with this pastor’s treatment of me that run deep and have never been explored, let alone resolved. And while Jon stood up for me in some ways, in far too many he didn’t and I’ve never gotten over the feeling that maybe Dan was right about the things he said, or at least that maybe Jon thought they were true. Subconsciously, I began to experience an underlying bitterness toward those days which reminded me of Dan and brought all these emotions to the surface. On the feast days, my pain doesn’t sit quietly in the background. As I explained all this to Jon later that day, I told him that even though we’d eventually broken fellowship with Dan, Jon’s silence had always made me feel like he’d agreed with Dan’s opinion and actions toward me. It was the first time I’d ever realized or admitted that Dan’s treatment of me and Jon’s silence had been, and continued to be, a source of pain within our marriage. Jon assured me that he’d never agreed with Dan regarding these issues and admitted his own cowardice when it comes to confrontation, especially when it had come to opposing this man who had loomed so large and authoritatively in our lives. And so, I asked Jon to write a letter to Dan saying all that he should have said back then. I needed to hear Jon tell Dan that he was wrong about the way he’d treated me. I needed to hear my husband defend and support me. I needed to hear how he really felt, so that we could begin the process of healing that should have started long ago. I needed that particular part of our “patriarchal” mindset acknowledged and, somehow, broken. 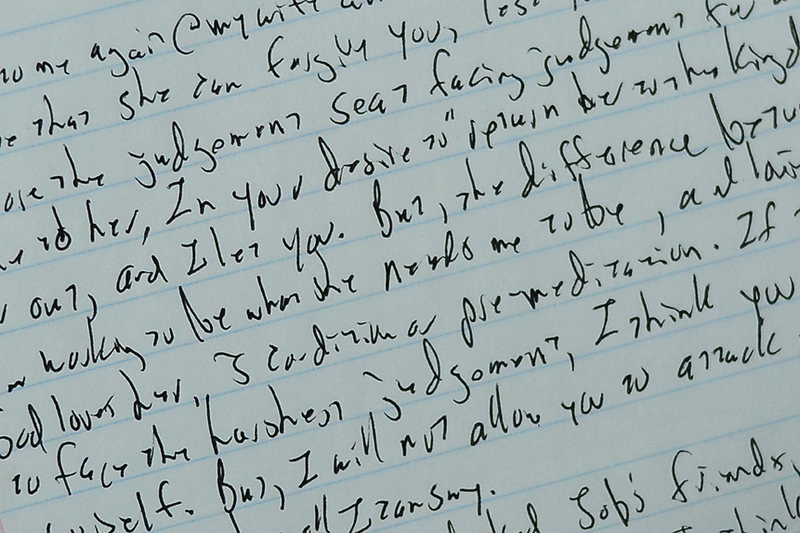 Jon wrote the letter that same day and told Dan all the things he’d been too afraid to say before. It turned out to be a sort of “F-You” rant that we’ll never send, as it can’t be presented to Dan in love or edification. It’s raw and emotional and seething with anger and not at all what a good Christian ought to write. It’s beautiful. This entry was posted in Daybook, Femininity and Womanhood, Marriage, PERSONAL, Victory Journal. Bookmark the permalink.